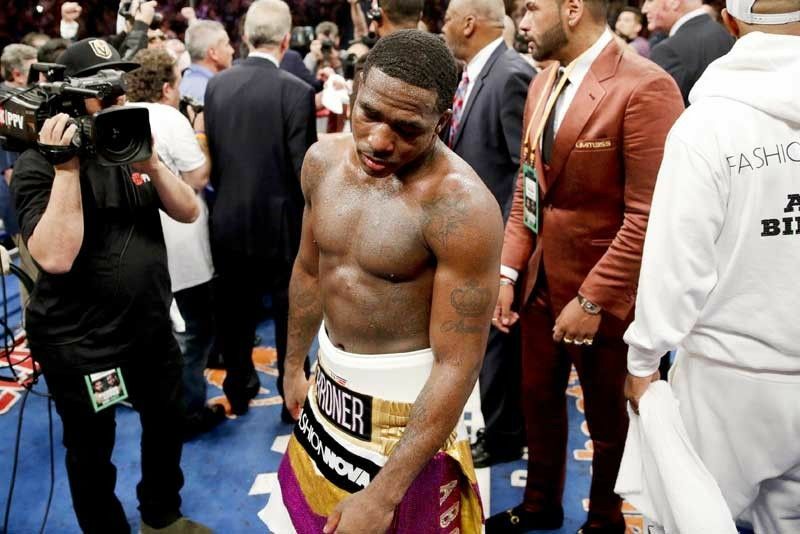 LAS VEGAS – Adrien Broner just couldn’t believe what had just transpired. A defiant Broner insisted he won his 12-round encounter with Manny Pacquiao Saturday (Sunday, Manila time), saying he did well by controlling the fight and landing his punches. “I beat him. Everybody out there knows I beat him. I controlled the fight, he was missing. I hit him clean more times. I beat him,” the 29-year-old fighter said in the ring shortly after losing to Pacquiao via unanimous decision in their well-attended fight at the MGM Grand Garden Arena here. Broner made the declaration despite being on the defensive end throughout the fight, always wary of an aggressive Pacquiao. Pacquiao shut Broner down with combinations and was effective in cutting off the ring. He had Broner hanging on to dear life in the seventh and ninth rounds after pinning the challenger to the ropes and again rocking him with flurries. Additionally, the numbers clearly contradict Broner’s claim. Nothing it seems will convince the brash boxer from Cincinatti that he was the inferior man Saturday. Broner even went as far as to suggest that the fight was fixed to accommodate a rematch between Pacquiao and Mayweather, who watched the bout at ringside as expected. “You know I beat that boy. They are trying to get that money with Pacquiao and Floyd,” Broner said. “I beat him. Smart boxing,” he added.